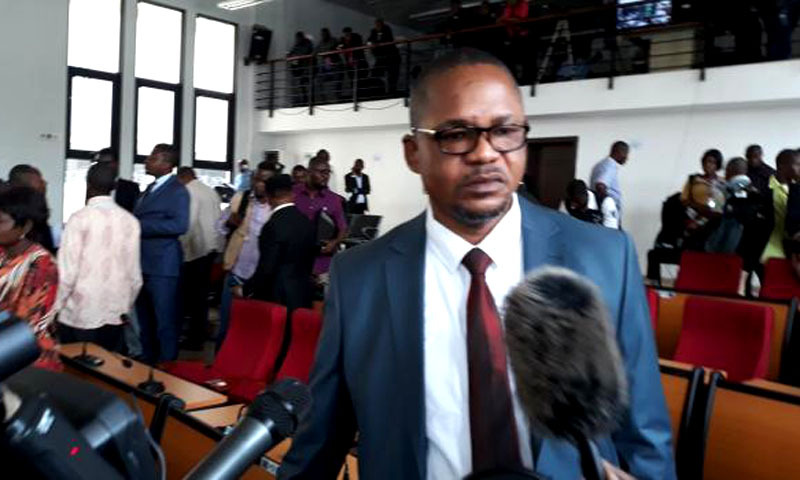 Kinshasa 11-04-2019 Politics - During the elections of the governors and vice-governors of provinces of Wednesday April 10, the camp of the CACH got only one province. What justifies the disappointment of Peter Kazadi, one of the executives of the UDPS. The election of governors in the DRC, after which the ruling party won only one province, caused a disappointment in the ranks of President Felix Tshisekedi. Peter Kazadi, spokesman for the Coalition Cap for Change (CACH) affirmed on Wednesday, April 10. "I cannot hide my disappointment. We hoped to win (...) In Kinshasa, our deputies did honor to the party. We lost with our 12 voices, facing a mechanical majority. This is the situation that cannot enchant me", Peter Kazadi, also a provincial deputy in Kinshasa said. According to him, the Congolese people needed a change, but instead, it is the continuity of the reign of the FCC - the electoral coalition of the former president Joseph Kabila - that is observed in the different provinces of the country. With this situation, we are going to have governors who are not in tune with the population. You will find pockets of tension. People are opposed, but we will live this situation for 5 years where the population will not recognize himself in his rulers", Peter Kazadi said. He said a meeting was held until Wednesday morning as part of the FCC-CACH coalition to find common ground. But, the FCC has found that it has a majority and that it must win everything. "At the same time, they make us believe that we are in a coalition," Peter Kazadi lamented. Following the election of governors, the FCC won in 16 provinces out of 24. The Lamuka coalition won in Mongala, while CACH won only in Kasai Oriental. In 4 provinces (Haut-Lomami, Kasaï-Central, Nord-Ubangi and Tshopo), the CENI will have to organize a second round to decide between the candidates. Elections are suspended in two provinces (Sankuru - and Sud Ubangi), in accordance with the ruling of the State Council. In Nord Kivu and the Mai-Ndombe, the elections are not yet organized. The provincial deputies had just been elected 48 hours ago. The provincial assemblies of two provinces must first be constituted to organize this election and to choose the future leaders.